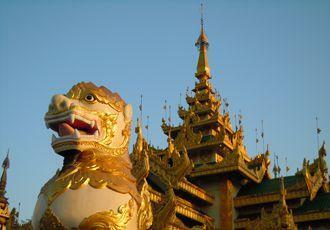 See the key sights of Yangon, Mandalay, Bagan and Inle Lake - in just one week. Arrive in Yangon (Rangoon). Meet your guide and transfer to your hotel. Enjoy a late afternoon/sunset guided visit to Shwedagon Pagoda. Transfer to the airport for a flight to Bagan. From here, start your tour at the local market, before visiting the Ananda temple and Myingabe Gu Byuk Kyi Temple. Transfer to your hotel. Watch the sun set over Bagan's ancient monuments before dinner and enjoy a traditional puppet show. Explore Min Nan Thu village by horse and cart, and the Tayokepyay temples with their 13th century murals. Continue the tour in the afternoon with a sunset river cruise. Morning flight to Mandalay, drive to Amarapura to visit photogenic U Bein Teak bridge. In the afternoon continue to the picturesque Saigang Hills. Return to Mandalay on a slow boat along the Ayeyarwady River. In the Morning enjoy a sightseeing tour of some of Mandalay’s key sights including: Mahamuni Pagoda - home to Mandalay’s holiest Buddha statue - Shwenandaw Monastery, Kuthodaw Pagoda and Kyaukdawgyi Pagoda. 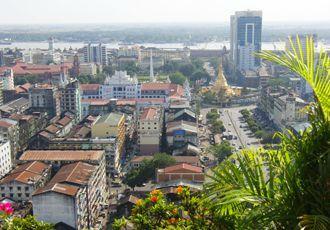 Plus, enjoy spectacular views from Mandalay hill. Fly to Heho, upon arrival transfer to Nangshwe at the northern head of Inle Lake to visit a monastery constructed from teak. Board the local boat to get to your hotel. In the afternoon visit Phaung Daw Oo Pagoda and the nearby boat construction workshop. You can also see silk weaving on wooden handlooms in Inpawkon village. In the morning take a scenic boat journey to the western side of the lake were you will see the famous leg rowers. Pass through the village of Yawama, the largest on the lake, with many channels and tall teak houses built on stilts. Then transfer to Heho airport for your flight back to Yangon. Free morning in Yangon for some last minute souvenir shopping. Transfer to Yangon airport for an afternoon flight home. Fly to Yangon (Rangoon) and meet your guide. 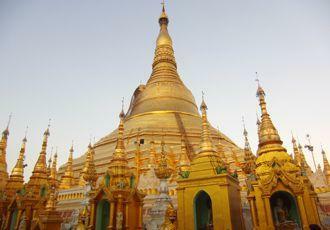 Visit Shwedagon Pagoda to catch the evening light. Tour the sites of Yangon such as the Scott Street Market and famous Strand Road to capture life in this atmospheric city. Fly to Bagan and visit a bustling local market. Travel to Ananda Temple and Myingabe Gu Byuk Kyi Temples. Take an optional morning hot air balloon flight for stunning shots of the vast temple complex as the sun rises. Afterwards visit Min Nan Thu village by horse and cart. The day ends with a sunset river cruise along the Ayeyarwady River – superb for taking pictures of traditional river life. Fly to Mandalay and visit photogenic U Bein Teak bridge followed by the picturesque Saigang Hills. Spend time in the artisan district with opportunities to photograph stone and marble carving and see gold leaf being worked. 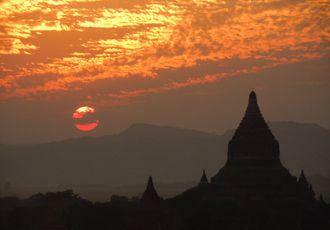 Enjoy sunset at Mandalay Hill. 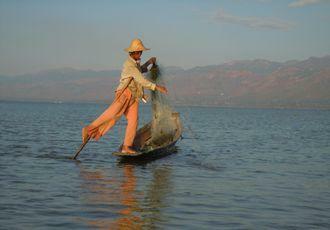 Fly to Heho and on to Inle Lake. Film the famous leg rowers of Inle Lake in action and take a boat across the lake to little-visited Sagar where there are local markets and villages to photograph. Attend the 5-day market where the local women are famed for their colourful headwear. Fly back to Yangon and drive to Bago. Take a local vehicle up towards the Golden Rock. Walk for 45 minutes to reach the dazzling rock perched on the summit, just in time for sunset. Your hotel is situated very close by so you can also make the most of the light at sunrise. Return to Yangon, stopping at the Basgo Monastery en route. A final day at leisure in Yangon before flying home.